When a tenant leaves behind belongings, landlords have to take on the task of collecting and storing the property, then notifying the tenant of their right to come and claim it. Unclaimed property then can be sold at auction. Beginning in January, 2013, the total resale value of abandoned property must reach $700 or more before a landlord is required to sell it at public auction, as opposed to throwing it away or finding some other use for it. The previous rule set that value at $300. At the same time, a landlord cannot collect storage costs against the tenant if the tenants picks up the abandoned property within 2 days of leaving the rental. Landlord disclaimers are now required in the termination notice or pre-move out inspection report informing tenants of their rights to reclaim property under certain conditions. Now, California landlords and tenants can mutually agree to handle security deposit transactions electronically. Returned security deposit funds can be wired to the tenant’s account, and the accounting — including all receipts for deductions — can be scanned and emailed to an address provided by the tenant. After protests that electronic rent collection discriminates against the elderly and poor, a new rule requires that a non-Internet rent payment option must be available to all tenants. The existing law requires a previous owner or agent to provide rent payment information to current tenants regarding a change of ownership through sale or foreclosure within 15 days of the ownership change. Now, a new bill provides that if the tenant did not receive notice, the successor is prohibited from evicting a tenant for nonpayment of rent that accrued during that period. 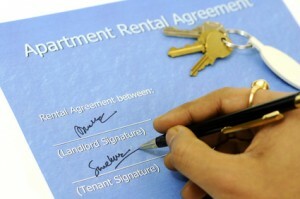 However, the new rules do not relieve a tenant’s liability for unpaid rent.